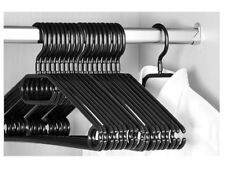 20x Black Coat Hangers. The black plastic is very durable and the gentle curves preserve the shape of the clothing, the product. 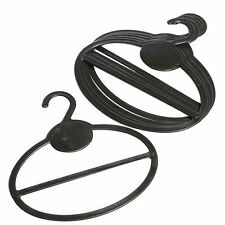 10PCS Wet Or Dry Adult Black Multifunctional Plastic Hangers For Ladies Clothes Dress. 10pcs Clothes Hangers. Color: black. Anyway we will try our best to avoid this kind of thing. Suitable for woolens and delicates, blouses & shirts, trousers& skirts, jackets & coats etc. Space Saver closet hangers. Save up to 70% of space in your closet with 10 of these 5-in-1. SPACE SAVER HANGERS. 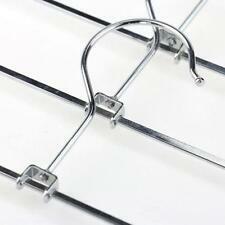 It is a sturdy hanging unit with five openings to hang clothing. We do our best to help you make the best choice. 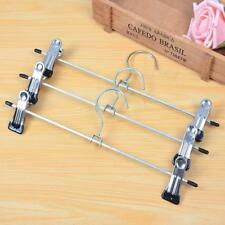 Smart Design Clothes Hanger Stacker Iron Holder Storage Organizer Rack. 1 Storage Rack for Hanger. Material: iron. Two kinds of storage way: flatwise storage or hanging, user-friendly design to make life more convenient. 1PCS Clothes Hanger. One this Hanger Equal 20PCS Ordinary Ones. Perfect for Tidying Your Clothes, No Need Folding. Size:Folding--4.33" x 12.6" Unfolding--18.50" x 12.6". Stylish Design, Made of ABS Plastic. Manufactured For Hangerworld. Trust The Hanger Experts! At Hangerworld we care about the clothes you love. This website and the information and material which it contains are subject to change without notice. Material: main / steel (PVC special resin coating), hook / steel (nickel). Colour: Black. The images are for reference only. Type trousers. Specifications 28-30cm. Weight: 1 / about 75 grams. Size: 1 / about 10.5 x 30.5 x 2.5 cm. Strong load capacity with movable clip. 10 trouser hangers. Perfect for hanging trousers, skirts, clothes, etc. Color: black. Material: plastic. Perfect for scarves, shawls, pashminas, ties, belts,socks and toddlers trousers,etc. Due to the light and screen differences,color of the item may be slightly different from the pictures. 3pcs x Storage Hangers. 12pcs Clothes Hooks. 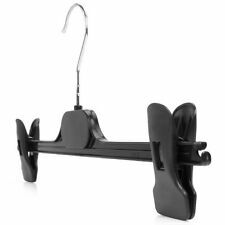 - Performs its function as a hanger hook for hanging clothes. 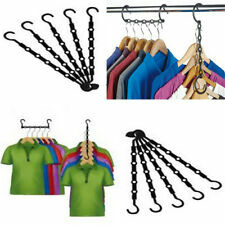 - These hooks are ideal for hanging clothes anywhere because they are portable. - The high quality material makes it durable and last longer. 1 Storage Rack for Hanger. Two kinds of storage way: flatwise storage or hanging, user-friendly design to make life more convenient. We want to make sure you are happy with our item. Goods without RMA number will NOT be accepted. 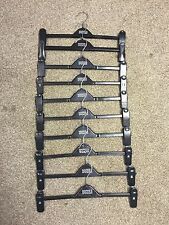 20 Clothes Hangers Black. 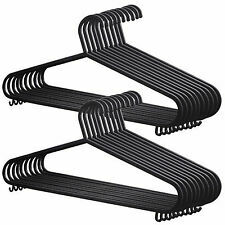 Black plastic coated hangers. Lightweight clothes hanger. Kingfisher 8 Felt Covered Clothes Hangers. 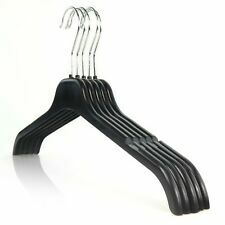 Stainless Steel Clip Hangers Clothes Coat Trouser Skirt 30cm Hanger Black!